Learn how to make this recipe, you can cook it any time, regardless of the season. Naturopath Patricia Pérez recommends it for people who have kidney troubles. 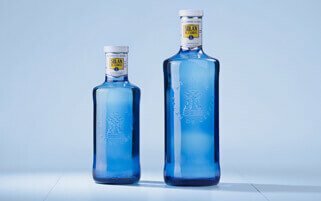 Enjoying a balanced life together with Solán de Cabras is within your grasp. Patricia Pérez, through “Yo sí que como”, brings us this delicious buckwheat soup, recommended for moments of physical and mental fatigue and for people who have joint or bone conditions. Try it out! Discover, at the hand of “Yo sí que como” and Patricia Pérez, how to make this aubergine and yoghurt salad, ideal for stimulating our immune system, as it protects our intestinal flora. There's nothing like enjoying a balanced life together with Solán de Cabras. Learn to make this fantastic recipe with “Yo sí que como” and Patricia Pérez. Ideal for when we need extra care for our skin. The properties of the carrot and onion provide this additional benefit. Don’t miss out! On this occasion, naturopath Patricia Pérez will prepare an original and delicious fat-free recipe with chicken breasts. There's nothing like enjoying a balanced life together with Solán de Cabras.